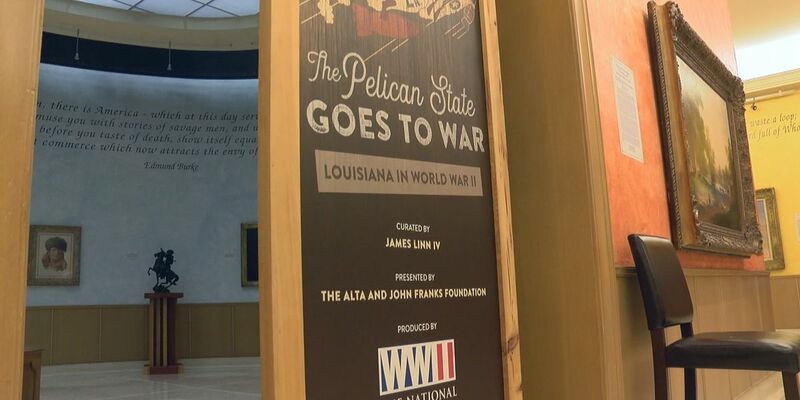 SHREVEPORT, LA (KSLA) - The sights and sounds of World War II come to life in a new exhibit at Shreveport’s R.W. Norton Art Gallery. "Throughout World War II you see Louisianans popping up in really major events especially with the Higgins Boat, some of the first soldiers on the beach of Omaha were from Louisiana, POW camps were all over the south, so you have a lot of that from this area," explained R.W. Norton Designer of Exhibits and Special Events, Emily Feazel, "You get to hear oral histories from World War II events from people who live in and around Shreveport, you get to see letters written by them to their families, so it really big Shreveport tie and that's what really exciting for us up here." The exhibit, paired with artifacts from the National World War Two Museum and oral history from our local veterans gives visitors a unique perspective. "What I hope people take away from this exhibit is a connection. Being here and getting to see these artifacts firsthand, letters that were written by a soldier to his mother, helmets worn by soldiers, uniforms, posters that they would’ve actually seen while they were serving, these are pieces of history and these are pieces that people need to connect with, otherwise you forget what actually happened," expressed Feazel. The exhibit is open from now until January 13th, 2019.